Simple guide on how to use Word automation by Edraw Office Viewer Component. With Word Automation, it's easy to insert content in the newly created document, do the mailing merge or replace text. 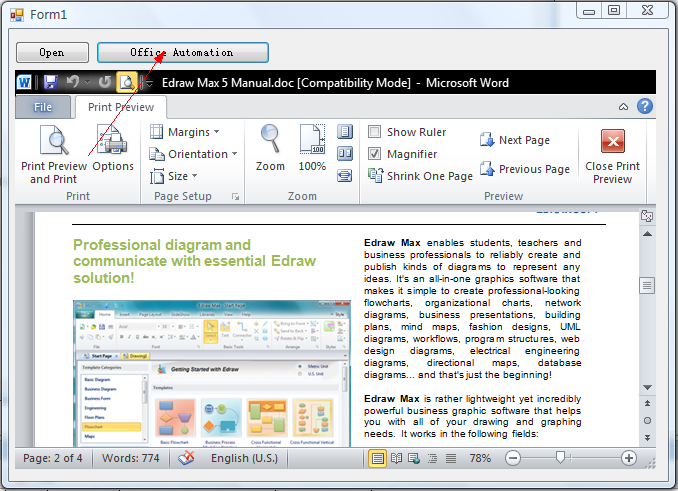 Edraw Office Viewer Component can host the MS Word within a form or web page. The component also supports the word automation. This article shows how to use Word automation by Edraw Office Viewer Component.